The Lunar Flag Assembly (LFA) was a kit containing a flag of the United States designed to be planted by astronauts on the Moon during the Apollo program. The nylon flags were hung on telescoping staffs and horizontal bars constructed of one-inch anodized aluminum tubes. The flags were carried on the outside of the Apollo Lunar Module, most of them on the descent ladder inside a thermally insulated tubular case to protect them from exhaust gas temperatures calculated to reach as high as 2,000 °F (1,090 °C). The assembly was designed and supervised by Jack Kinzler, head of technical services at the Manned Spacecraft Center in Houston, Texas. Seven such flag assemblies were sent to the Moon, six of which were planted (the exception being the one carried on Apollo 13 which had to abort its landing due to a serious spacecraft failure). 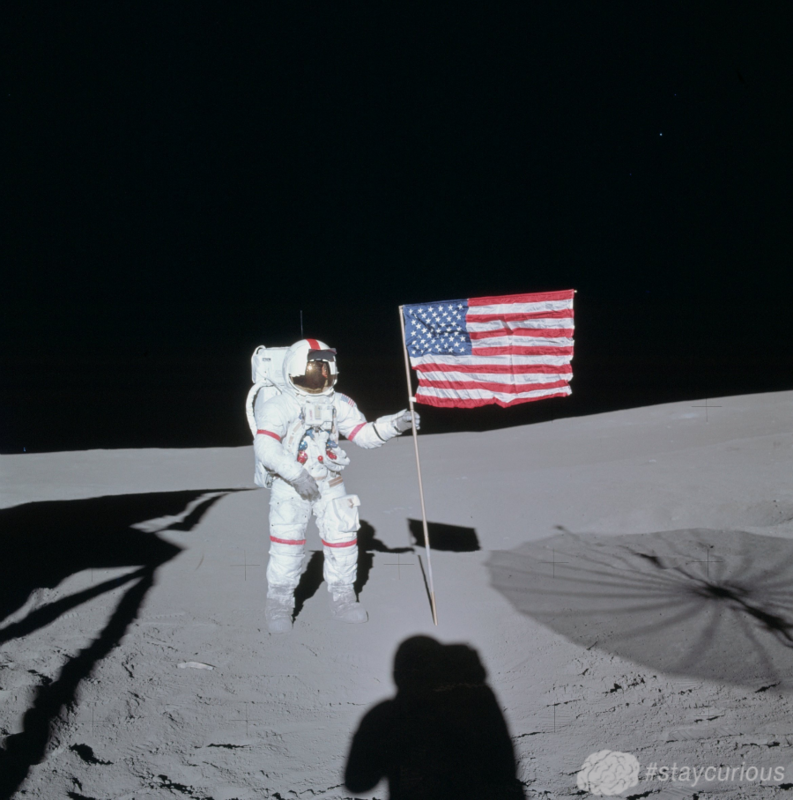 Six of the flags were ordered from a government supply catalog and measured 3 by 5 feet (0.91 by 1.52 m); the last one planted on the Moon was the 6-foot (1.8 m)-wide flag which had hung in the Mission Operations Control Room in the Manned Spacecraft Center for most of the Apollo program. Don't forget to check out our Kickstarter Campaign! If you love Curionic pledge what you can! Even a dollar and a share helps!